"He has a tremendous record at Cheltenham and may well benefit from a race placing still greater emphasis on stamina. His age has been offered as a negative, but few 11-year-olds come into this on the back of such a good run in a top race." The Cheltenham Gold Cup looks the most fascinating of the big four Festival races to try and solve. There are still 35 horses engaged, of which perhaps a dozen or so have shown form that puts them in with a decent shout if all goes well; and yet quite a few of those have questions to answer. That includes the long-time antepost favourite Presenting Percy, who is proving as elusive as the scarlet pimpernel this season. He has run just the once, over hurdles in January, and he won in good style. However, the prospect of the ground being firmer than ideal has meant that a possible run over fences since has been ruled out. That is a campaign in contrast to the previous two, both of which ended in victory at the Festival after he'd been kept busy through the autumn and winter. Presenting Percy's form in the RSA Chase last March is hard to knock and he handled good ground well enough to win the Pertemps Final the previous season. But this will be a tough assignment on the back of such a light campaign - though the same might have been said of Native River last year - and clearly connections would have preferred another run. Regular readers will know the regard in which Clan des Obeaux (pictured) is held, and he is now much nearer to where he should be in the market than he was after his surprise win in the King George, that piece of form the best on offer in this field this season. On the face of it, and in contrast to Presenting Percy's, Clan des Obeaux's season appears to have gone exactly according to plan. 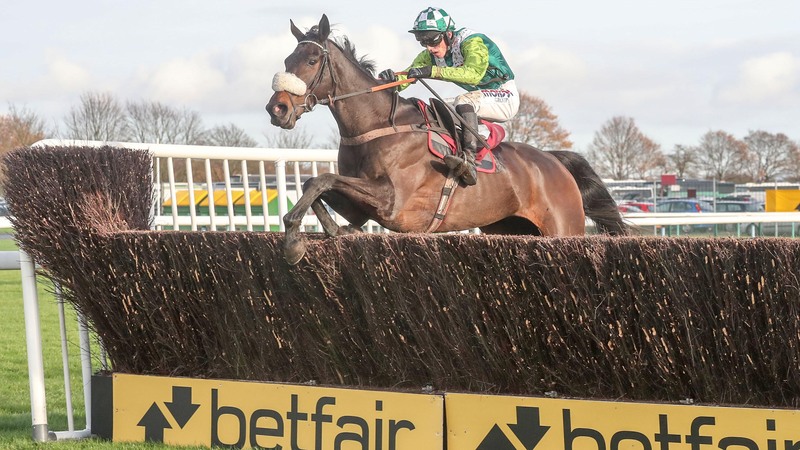 He followed Kempton with a smooth success in the rescheduled Betfair Denman Chase, and although some have questioned his record at Cheltenham - yet to win there in four tries - there is nothing in those performances to suggest the track is a problem. Of those he beat in the King George, Native River clearly comes into the reckoning, likely to be more at home back at Cheltenham than he was on the right-handed Kempton track that favours speed, having won this race last season and been third the year before. He would probably have run against Clan des Obeaux again in the Denman, had it not been switched from Newbury, though his absence is less of a concern than it is perhaps with Presenting Percy. 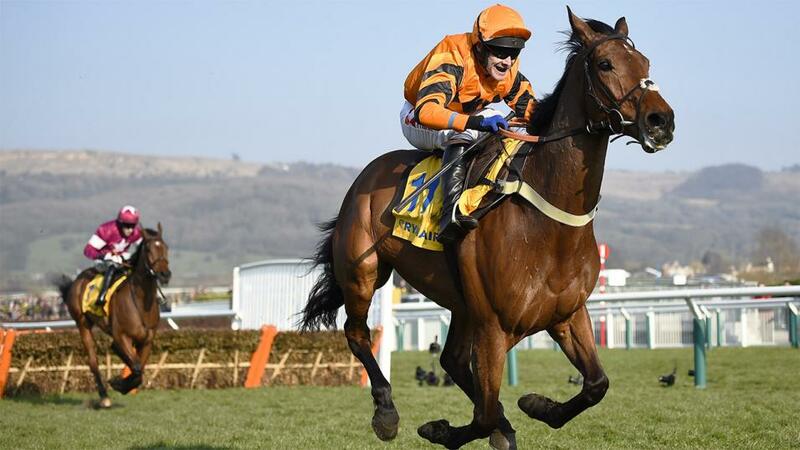 Thistlecrack finished second in the King George, doing a lot to suggest he retains all his ability. He has a tremendous record at Cheltenham and may well benefit from a race placing still greater emphasis on stamina. His age has been offered as a negative, but few 11-year-olds come into this on the back of such a good run in a top race. Might Bite is probably the biggest conundrum of the lot. He has form good enough to win the race and less testing conditions than a year ago might well give him a chance of turning the tables on Native River; however, his efforts in the Betfair Chase and King George this season have been dismal. The problems appear to be physical rather than mental, as he bled at Kempton, and he goes to Cheltenham after a procedure to help with his breathing. If that has done the trick, he is too big a price, but it is a serious 'if'. Of the Irish challenge apart from Presenting Percy, Willie Mullins looks set to field a few, with Kemboy and Al Boum Photo the pick of them. Kemboy was impressive in winning the Savills Chase at Leopardstown after Christmas, in what was his fourth win in a row. He's got the potential to find that bit more required, whether his jumping is quite good enough for a race as competitive as the Gold Cup is open to doubt, however. Al Boum Photo is another who has had jumping issues in the past, falling in last season's RSA, when set to finish third behind Presenting Percy. He has shown rather better form since, unlucky not to have won all three starts. He was impressive at Tramore on his return, though he was beating two stable companions who were also having their first start back, so he may just have been the most forward of the trio (the market suggested as much). Al Boum Photo has yet to try the Gold Cup trip, but there's certainly encouragement from his pedigree to suggest it will suit. He's yet to race on anything firmer than good to soft, so the going may be an issue. Last year's Golden Miller winner Shattered Love is another Irish-trained runner to consider. She hasn't won since and ran poorly the last time she was seen. While the longer trip ought to be right up her street, her efforts on good ground are far from encouraging, suggesting rain would enhance her chance. Finally, Frodon (pictured), an example to us all, for his attitude and reliability. The Paul Nicholls star answered doubts about his stamina in winning the Cotswold last time. 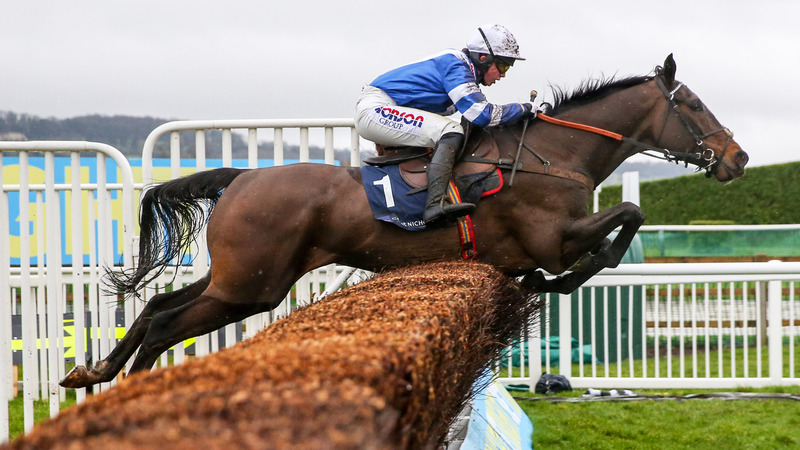 He has a tremendous record at Cheltenham all round and while there is likely to be competition for the lead, he showed, under a most positive ride from Bryony Frost in the Caspian Caviar Gold Cup, that he is capable of denying other pacemakers the lead. It used to be the accepted rule that it was almost impossible to make all the running in a Gold Cup, though that has been well and truly binned with the successes of Coneygree and Native River in recent times. Clan des Obeaux is the most likely winner of a fascinating blue riband, though the price makes him one for backing on the day, if he's not been backed already. Frodon still holds a Ryanair entry, though the Gold Cup is surely the best option - he's likely to be a bigger price than he should be if this is where he does turn up. Perhaps, then, the one to add to the portfolio at this stage is Thistlecrack, who is who is a bigger price than he should be at around [14.0] on his second at Kempton. The week began with bad news as Betfair Ambassador Joseph O’Brien revealed that his star novice chaser Le Richebourg will miss the Festival after suffering a season-ending injury at home. The news, which broke on Monday morning, caused a shake-up in the antepost market for the Arkle Chase with Lalor, [4.4] from [6.6], now sitting atop of the betting. One big mover for the two-mile championship race is Defi De Seuil, who runs in the same colours as the now sidelined Le Richebourg. The winner of the Grade 1 Scilly Isles Chase last time out is now as short as [6.4] from a high of [18.0] for the Arkle Chase, although he does still have the JLT Novices Chase ([6.2] from [4.7]) as another possible engagement. Kempton Park played host to several Graded races on Saturday which resulted in a shakeup in the betting for the opening race of the Cheltenham Festival when Angels Breath fluffed his lines in the Dovecote Novices Hurdle. The highly touted Nicky Henderson-trained gelding eased in the betting to [9.4] (from [4.0]) for the Supreme Novices Hurdle. In Ireland, Presenting Percy missed what could have been his final chance to jump a fence in public before the Gold Cup as connections decided to skip the Grade 3 Bobbyjo Chase at Fairyhouse on Saturday. Last season RSA winner has drifted from [4.9] to [5.6] for the blue riband chase.